The creative emotion deriving from the Ezaschi landscapes that have stimulated the philosopher Friedrich Nietzsche will also inspire many artists, painters, writers and musicians. 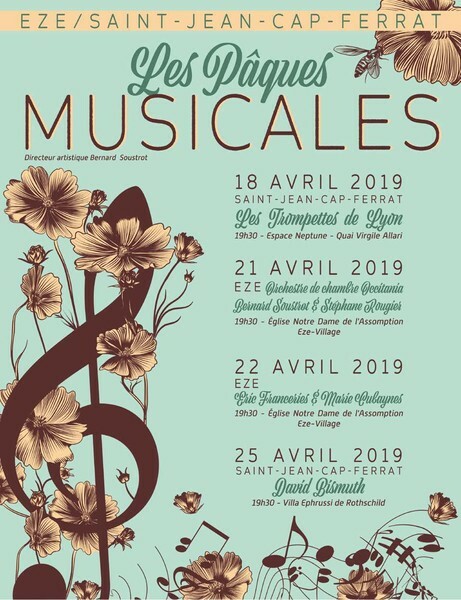 Eze was naturally inclined to welcome, in collaboration with the municipality of Saint-Jean Cap-Ferrat, a prestigious event like Les Pâques musicis. This first edition will take us on a journey between Vivaldi's Italy with Le Quattro Stagioni and the charm of Andalusian nights. The gourmet side will not be forgotten with menus specially composed by the chef of Les Terrasses d'Eze, Guillaume Keller. We hope that these agreements of musical notes and taste of internationally renowned performers will contribute to the influence of our two municipalities. These are the words of Stéphane Cherki, mayor of Eze. 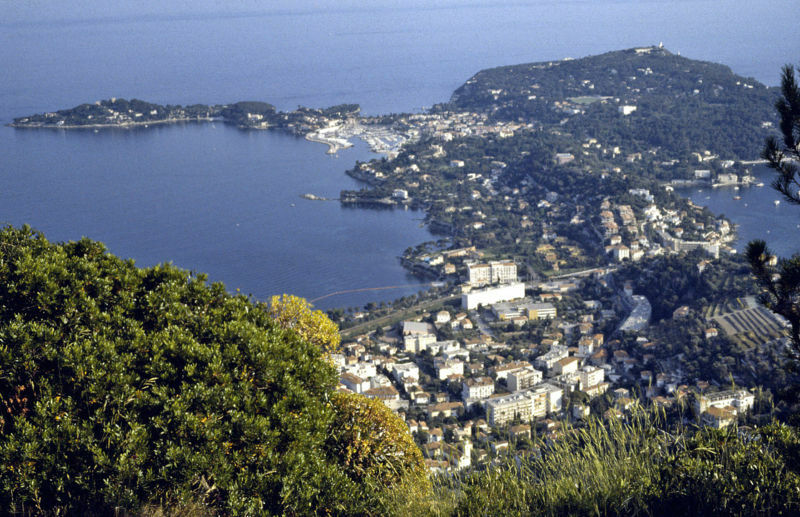 "This festival between Earth and Sea, co-organized with the city of Eze will include for this first edition prestigious names accustomed to international stages," says the mayor of Saint-Jean-Cap-Ferrat, Jean-Francois Dieterich. Thursday 18 April 2019 at 7.30 pm in Saint-Jean-Cap-Ferrat will perform The Trumpets of Lyon, a formation born in 1989 from the meeting in the Conservatory and in the universities of Lyon of the five musicians that still today constitute it. Sunday 21 April 2019 at 7.30 pm in Eze, it will be possible to listen to the Occitan Chamber Orchestra (O.C.O. ), a Toulouse band of twelve instructors, all from the grandes écoles. They work essentially without an orchestra conductor, each musician looks closely at the work of the other, creating cohesion and complicity. It is a true friendly understanding, reflected in music, maintaining a form of joyful freedom and creativity. Monday 22 April 2019 at 7.30 pm will perform at Eze Eric Franceries guitarist with 40 years of career behind him and more than 35 countries visited and Marie Cubaynes, mezzo- soprano. Thursday 25 April in Saint-Jean-Cap-Ferrat at 7.30 pm the pianist David Bismuth will be there.